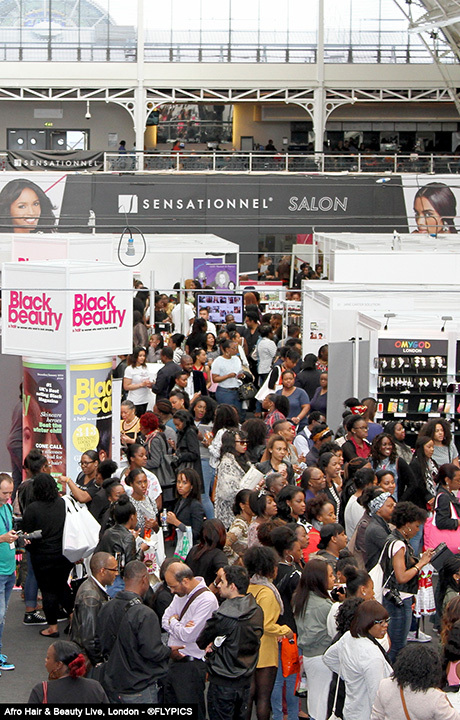 Thousands of people flocked to the opening day of the Afro Hair & Beauty Live show at the Business Design Centre in Islington. 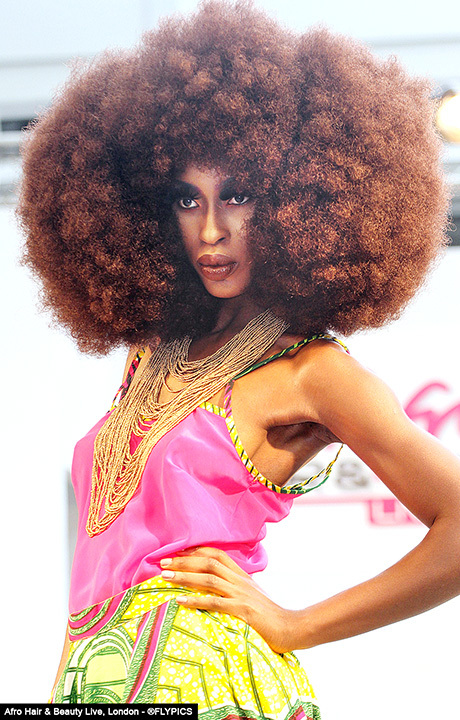 The annual exhibition is Europe’s largest ethnic hair and beauty event attracting visitors from across Europe and beyond. With thousands of products on display and plenty of freebies, the crowds were entertained by public exhibitions, seminars and fashion shows. 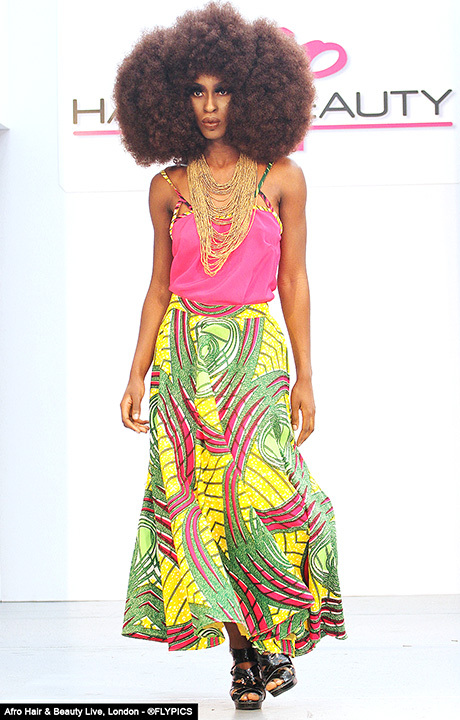 Afro Hair and Beauty Live is the place to see and be seen. There were plenty of products on display as well as opportunities to get specialist advice. 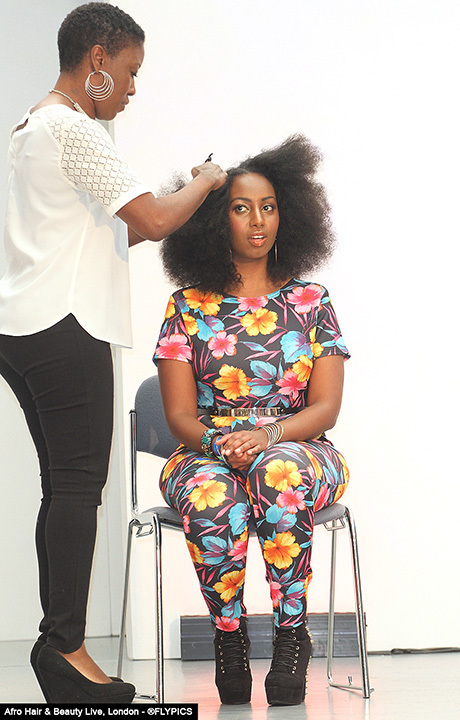 The Afro Hair & Beauty Live is also regarded as a lifestyle show. Hourly fashion shows and people spotting is part of the course. 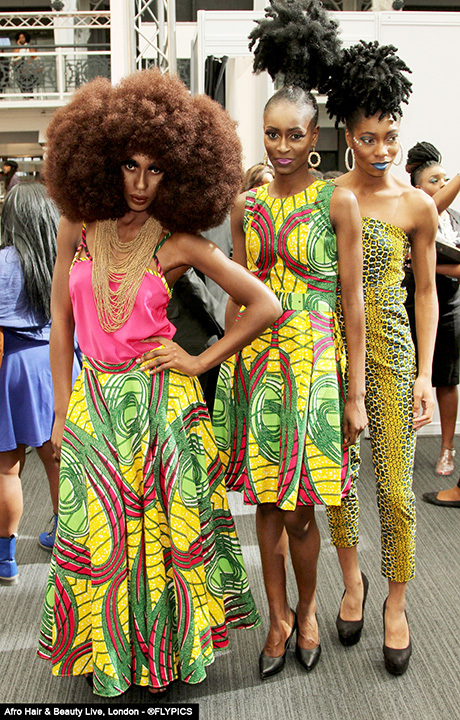 This year there has been an overwhelming swing towards natural hair and products. Whilst some specialists believe the switch is purely for economical reasons others suggest the rise of celebs such as Lupito Nyong’o who’ve been championing the natural look as being hugely influential. 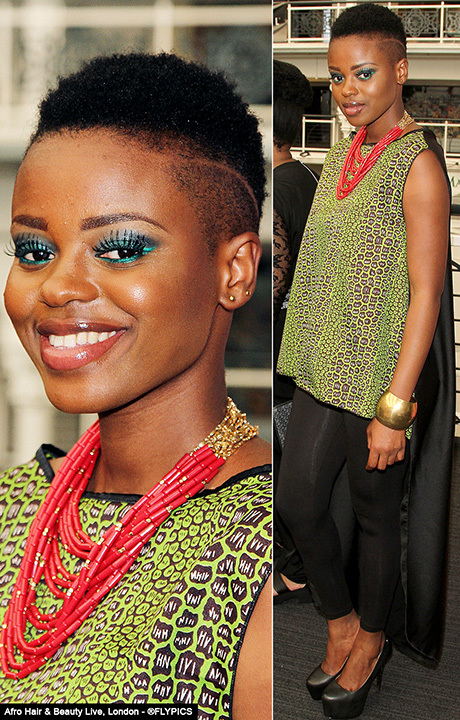 CEO of award winning hair salon Sharon Adaje said: “We’ve seen a huge increase in women who are returning to natural styles. Many of them prefer to go through the transitional stage however some women simply prefer to get their hair cropped in one go. Natural beauty Charlotte (Above) has worn her hair natural for two years. 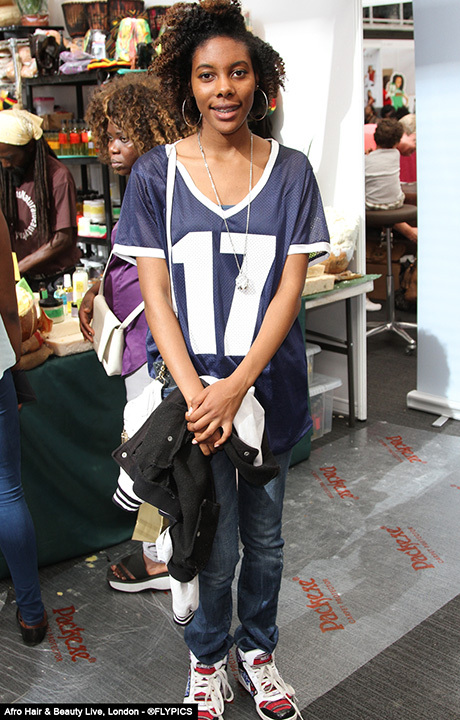 Ebony (above) has always had natural hair. 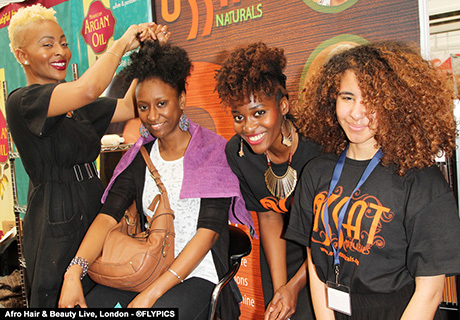 The African hair care industry draws in millions of pounds to the UK treasury and is widely regarded as a growth industry. 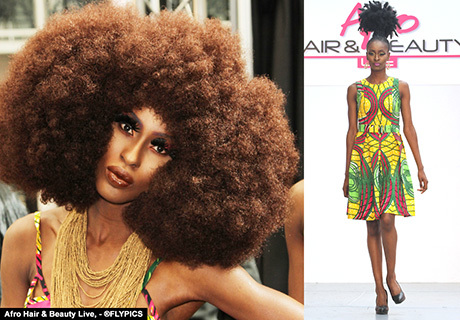 The Afro Hair & Beauty Live if also regarded as a source to discover new trends in hair and fashion and this year was no exception. 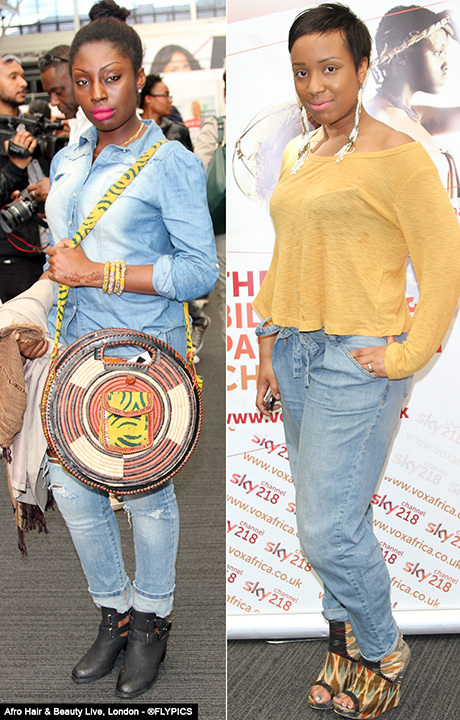 The predominant fashion on day one of Afro Hair & Beauty Live was without doubt was a variety of denim wear however for those that really wanted to stand out from the crowd floral jumpsuits and print dresses were also extremely popular. 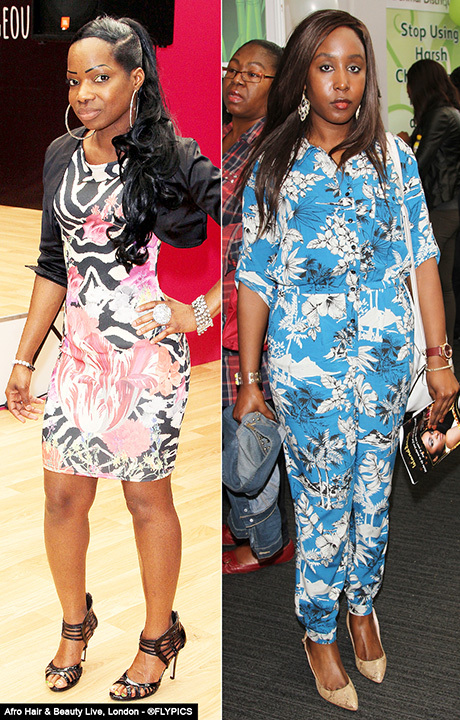 Floral print dresses and jumpsuits are the in trend as worn by talented photographic and TV make-up artist Marlene Burrell (Above left). 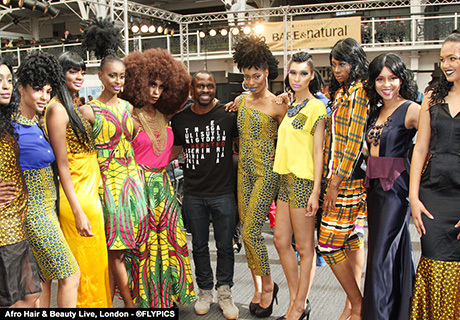 Natural beauties surround 24 series actor Gbenga Akinnagbe (centre). Gbenga Akinnagbe is an American actor, best known for his role as Chris Partlow on the HBO original series The Wire. 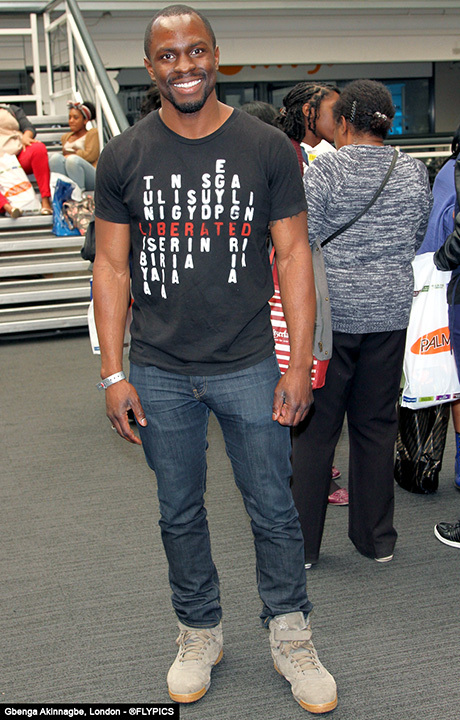 Gbenga is promoting ‘Liberated People’ clothing range which is a non-profit organization which uses the power of the slogan to raise awareness of pressing global issues.